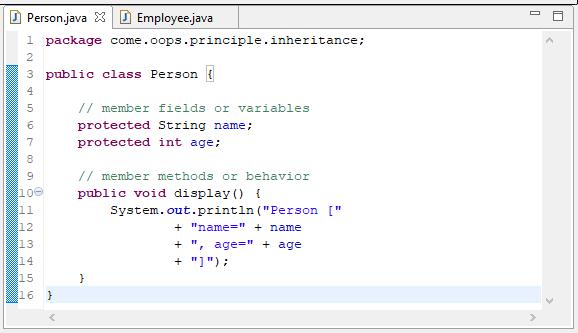 In this article, we will discuss OOPs Principle with respect to Java Programming Language. 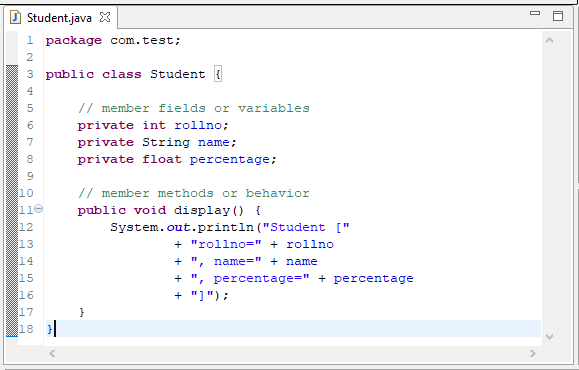 OOPs which stands for Object-Oriented Programming defines different principle approaches which needs to be adhered while constructing/developing Object-Oriented Software application. 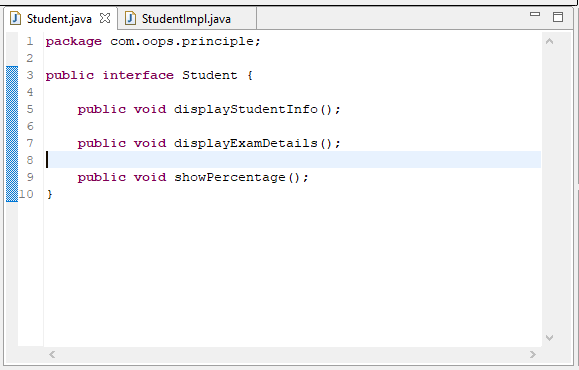 Thus, OOPs Principle isn’t specified only to Java rather it is very broad and applies for all Object-Oriented Programs like C++, C#, Java, etc. 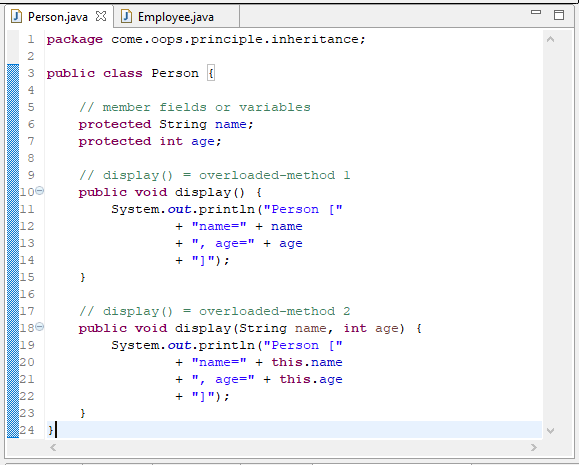 But here, we will discuss these principles with respect to Java language. We will discuss 4 principles one-by-one in the above-mentioned order, as it is very much required in that way to remember it easily. 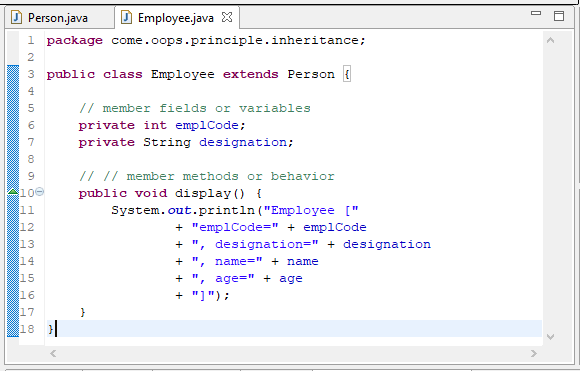 Also, before delving more into these concepts, we will see simple Java class with member fields and behavior. 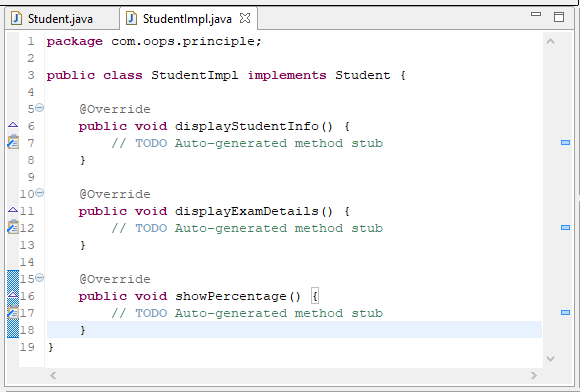 And it shows/exhibit only relevant details to outside world, but how? 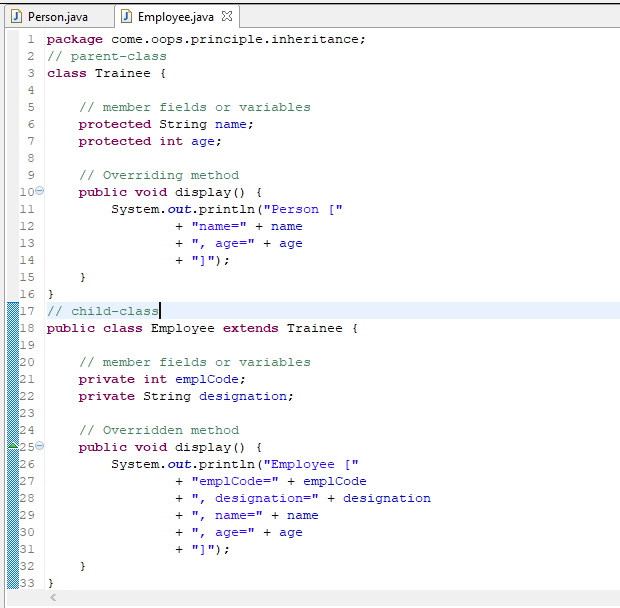 But what do you mean by keywords extends or implements?